We’re going to take a look at the best 5 Star hotels in Pattaya for those seeking only the top in luxury accommodations on their trip. While the selection of 5-star resorts and hotels in Pattaya is somewhat limited, we’ll be taking a look at the Top 10 based on actual user ratings. The star rating system you see listed on many hotel booking sites is not regulated or set by an agency. So there is some discrepancy depending on where you look. We did our best to compare them across several websites and go with the majority rating if any of them were different. We used the star ratings system from Agoda and compared the hotels across other hotel review sites and other sources. It was not surprising that some hotels were not listed as 5 star in all locations. Some were 4 or 4.5 stars. We then took those hotels and sorted them with any rating over a 8.0 user rating on Agoda. These are verified customer reviews based on the bookings with the website and can’t easily be gamed like Tripadvisor. What we were left with was a list of 10 5-Star Hotels in Pattaya. But for the majority of the world, there is no standard. Private groups like AAA and The Mobil Travel guide (now the Forbes guide) have been setting their own standards and giving out ratings independently for decades. Now with the advent of the internet, the diversity of groups giving out ratings seems to be endless. So what are the differences from one groups star rating to another? It’s hard to say. Unless the group has publicly shared guidelines on how they rate a hotel, your guess is as good as mine. We all probably know the difference between a 1 star hotel and a 5 star hotel. You might find the differences between a 4 star and 5 star resort maybe too subtle to realize. The key is what you should expect and what you receive. What You Should Expect From A 5 Star Hotel. 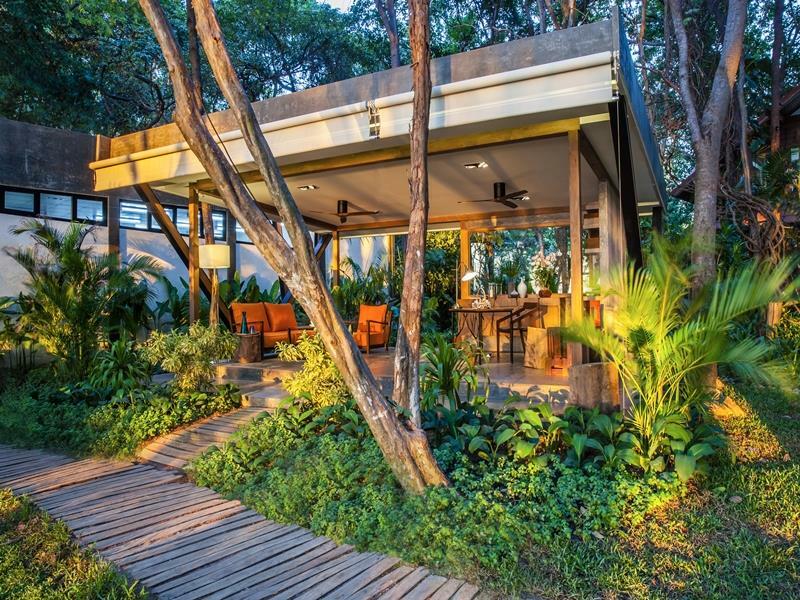 After doing some research and checking out work from various travel writers and reviewers, the 5-Star experience seems to come down to three key aspects: Service, Amenities, and Décor and Furnishings. While some experts break it down even further, I think these three areas cover all the bases. Attentive, personalized, and consistent service is a hallmark of these hotels. They will look after their guests and do whatever is reasonable to make sure their stay is an incredible experience. They should personalize the interactions by using the guests name and be proactive and not reactive. Hotels in the 5 star categories should also offer a variety of services to their guests. That could be room service, a concierge, pool side service, child care services, among others. The expectations are much higher for a five star property. Toiletries in the room should be higher end products or big brand names. There should be an in room coffee maker with good coffee, not a hot kettle and Nescafe crystals. The food and drink served by the restaurant, room service, or bars should all be of the highest quality. They should have a good selection of fine wines and spirits available. Breakfast should be made to order and not a run of the mill buffet. The beds should be comfortable and use good linen. The best hotels have the best mattresses you can buy and pride themselves on the comfort and good night’s sleep that their guest have. Hotel should be well designed, decorated, and kept up. Repairs are made quickly and properly. The look and the feel of the hotel should be modern and not dated. It should look extraordinary and no detail left untouched. The rooms are spacious and fitted out with nice furniture. You might find elements of marble or other ornate fixtures in the room and bathroom. 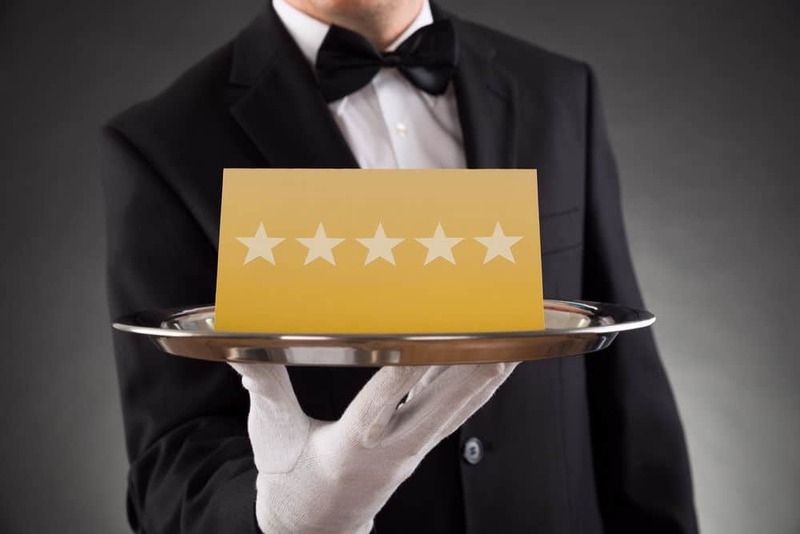 While not a comprehensive guide to everything a five star hotel should offer, it gives you a good idea of what you should be expecting to see if the hotels on this list live up to the rating they have been given. This is Pattaya Thailand after all, and as anyone who has been a visitor here before knows, they do things a bit different over here. How would they stack up against a Ritz-Carleton or a Mandarin Oriental? We’ll take a look at the top 3. 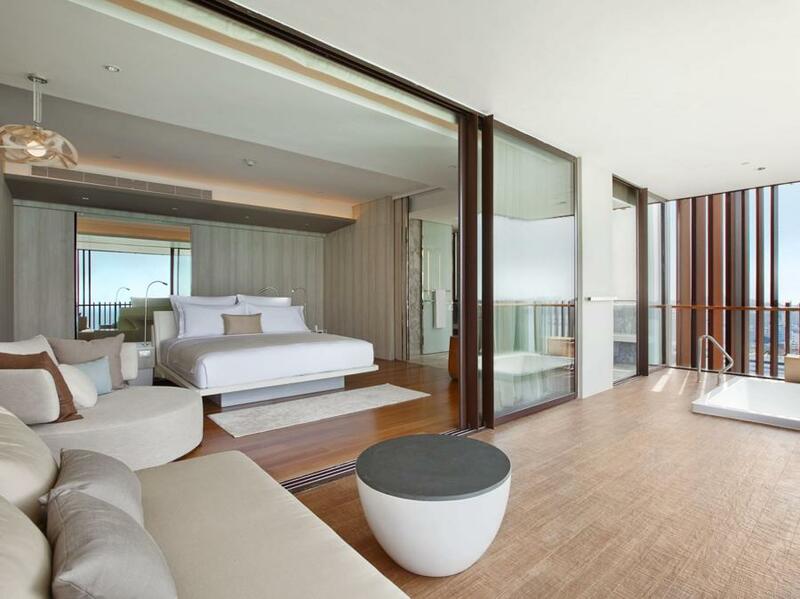 The Wave Hotel in Pattaya got the best grades of any 5-Star Hotel on the list. It is a little different than most in that it only has 18 rooms, but they all have an ocean view. It’s small hotel with a very good location right on Beach Road. The hotel gets good marks from guests for it’s friendly and helpful staff, comfortable beds, and beautiful décor. The breakfast is not a buffet and prepared to order for guests. Some of the guests mentioned the small pool area and a limited amount of other facilities at the hotel were not up to par with similar properties. 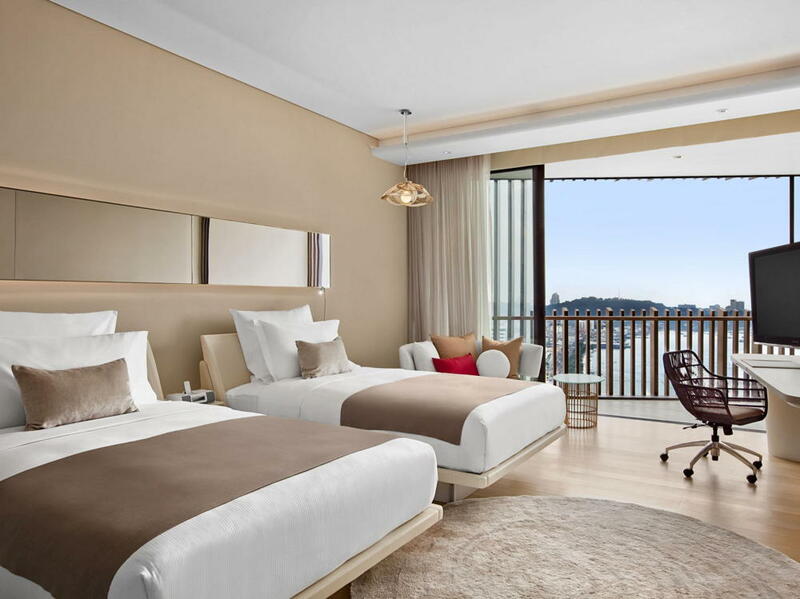 Opened in 2015, the Monttra Pattaya is a beautiful resort set in PhraTamnak Hill area of Pattaya. It offers a private beach, infinity edge pool, and spa and massage services. Many guests reported they loved the décor and setting of the hotel, that the staff is very helpful and attentive, and the beds were comfortable and plush. In addition the a la cart breakfast and food offerings also seemed to be quite popular. One drawback is the location. 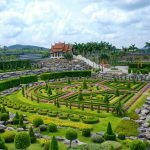 It is a little way from the main area of Pattaya, which could be great for a relaxing weekend but a draw back for those who plan on spending any amount of time in the city during the day. 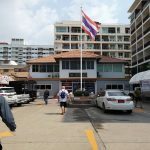 This is one of the biggest and best known hotels on Pattaya Beach Road. 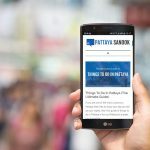 The Pattaya Hilton is connected to the Central Festival shopping mall and takes up a full block between beach road and second road. It has a two sky bars on two separate floors which are a must visit for a cocktail and watching the sunset over Pattaya Bay. Many guests are quite pleased with the friendly and helpful staff at the hotel, as well as the excellent décor and comfortable beds. Some complained that you can get too much noise from the nearby bars in the evening depending on what floor or room that you are in. 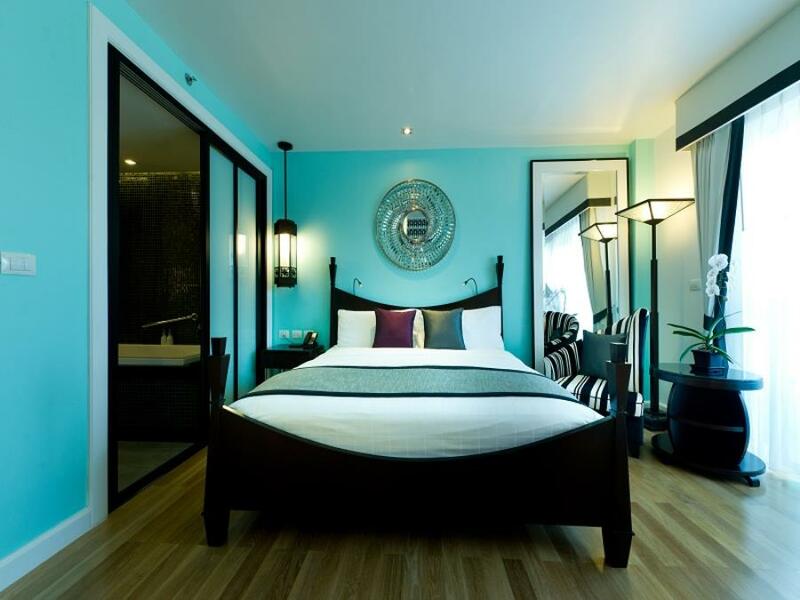 Finding suitable 5-Star accommodation in Pattaya​ has gotten much easier over the last few years with the ongoing development over nice new hotels. I’d expect we’ll continued to see further development and an even greater amount of choice available in the coming years.